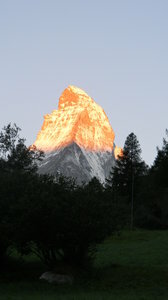 Some shots of the Matterhorn from just above Zermatt, Switzerland. alp, alps, Cervin, Cervino, italian, Italy, Matterhorn, Mont Cervin, Monte Cervino, mountain, mountains, swiss, switzerland, the matterhorn, the matterhorn! The Matterhorn!, alp, alps, Cervin, Cervino, italian, Italy, Matterhorn, Mont Cervin, Monte Cervino, mountain, mountains, swiss, switzerland, the matterhorn, the matterhorn!